Just when Anaita asked him to take an oath, Karan Johar swore on all his fashion accessories right from Gucci to Prada. These days Karan Johar is giving us quite a buzz from the industry to talk about. After spilling the beans about Ranbir Kapoor and Alia Bhatt and claiming it to the world that he will be the ‘best husband in the world, Karan has now revealed spicy details about his own personal life and relationships. 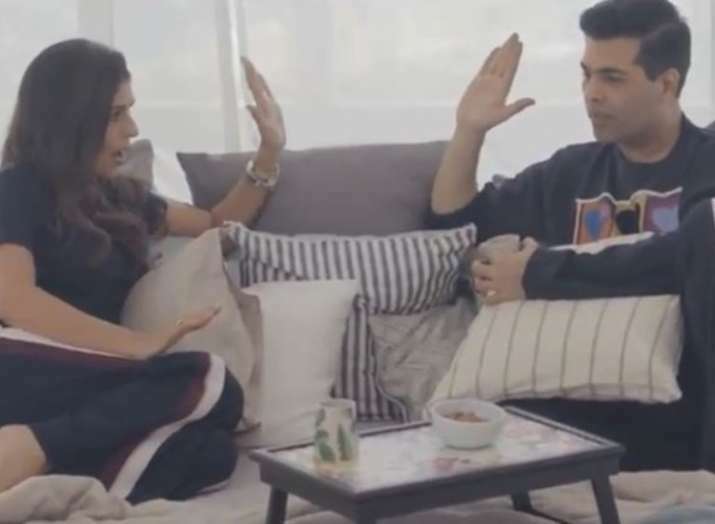 While Karan Johar is busy with his own show, films and ofcourse kids, the hit filmmaker decided to let loose on close friend and designer Anaita Shroff Adajania’s chat show. Going by the promos of the show, it looks like celebrities will open the doors of their secrecy and spill the beans about their life. First guest is Karan Johar, who not only revealed his bedroom stories but also talked in detail about fashion façade and weird obsession with Gucci. When Karan joined Ananita for a cup of coffee in his PJs, we knew a lot of controversial stuff is about to come out.  The promo of the show has already been streaming on the most popular video streaming app Voot and going by it, it is clear that celebs have to swear to say the truth on the show. However, Karan Johar’s swearing ceremony had all his fetishes and obsessions, one being Gucci. Just when Anaita asked him to take an oath, he swore on all his fashion accessories right from Gucci to Prada. When the host asked Karan to name any actress from the industry today, he would like to marry and in no time Karan Johar had Kareena Kapoor Khan’s name on his lips. This is no secret that Kareena and Karan are best pals and gossip friend. On the work front, Karan Johar is gearing up for his multi-starrer project Takht that he will be directing after a long time. The movie stars Ranveer Singh, Alia Bhatt, Kareena Kapoor Khan, Vicky Kaushal, Bhumi Pednekar, Janhvi Kapoor and Anil Kapoor.